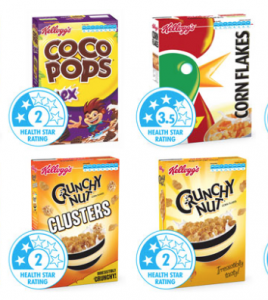 Kellogg’s has revealed that it is voluntarily adapting the Health Star ratings on all its cereals both in Australia and New Zealand – effective from June 2015. The Health Star rating system is developed by industry, public health and consumer experts. Its aim is to assist consumers compare the healthiness and nutritional value of products on the supermarket shelves at a glance. The amount of salt, sugar and saturated fat in products per 100 grams is taken into account. As a self proclaimed industry leader, Kellogg’s was also the first manufacturer in Australia and New Zealand to place daily intake information on the front of its packs. 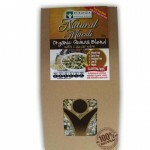 This information will also remain on the front of the pack in addition to the Health Star rating. More than 70% of Kellogg’s cereals have a rating of between 4 and 5 health stars, while about 30% of their cereals have between a 1.5 and 3 health star rating. Cereals that achieved five stars include All-Bran Original and All Bran Wheat Flakes. Special K and Just Right received four stars each while Rice Bubbles got three stars. 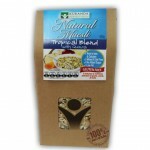 Other popular brands such as Nutri-Grain, Frosties, Fruit Loops, Crunchy Nut Cornflakes and Coco Pops all got two stars. At the bottom of the list with one star was Crispix. Consumer advocacy group Choice applauded Kellogg’s but says more needs to be done. “While it is great to see Kellogg’s is on board, iconic brands such as McCain, PepsiCo, and Mars are still refusing to serve up the information consumers need,” said Choice spokesperson Tom Godfrey. The group is pressuring food giants McCain, Mars, PepsiCo, Mondelez, George Weston and Goodman Fielder to implement the Health Star scheme. A Mondelez spokesman said the company, owner of Kraft, Belvita and Philadelphia, was resisting the scheme because it was flawed. “Our view is that the concept and formula underpinning the voluntary system fails to account for individuals’ dietary requirements and takes an unrealistic view of portion sizes,” she said. Food companies have four more years to comply with the star-rating scheme according to the federal Health Department. After that, it may become mandatory. 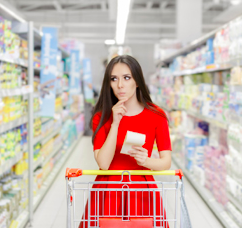 While the premise of the Health Star rating is to assist consumers compare the healthiness and nutritional value of products on the supermarket shelves at a glance, some glaring teething problems are emerging. Currently some processed foods high in salt, fat, additives and preservatives are receiving a higher star rating than healthier natural foods. The Woolworths Select Straight Cut Potato chips received the maximum 5-star rating compared to the 4½ stars for fresh Pink Lady apples is one such case. The George Institute of Global Health’s FoodSwitch website has provided a number of examples. FoodSwitch is a site which allows consumers to find the ratings of thousands of products based on the Government’s Health Star rating formula. George Institute senior director Dr Bruce Neal said although the Health Star system was not perfect, “it gets it right in the vast majority of times”. The problem is that the Health Star rating system was designed for processed food not for fresh food. 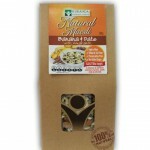 However fresh food is now been packaged so it is also included in a system that is not designed to rate those foods. As this Health Star rating rolls out over the next 4 years in Australia and New Zealand, remember that this system is merely a tool for the consumer. For optimum health choose fresh fruits and vegetables, good quality protein, essential fatty acids, keep snacking to a minimum and drink 8-10 glasses of water per day. The health star rating is rubbish. It rates saturated fat low, when it should penalise rancid omega 6 fat. When rating the sodium content, the ratio of sodium to potassium should be taken into account. Overall kilojoules don’t mean that much – it depends what form they come in. They should also take into account food additives. 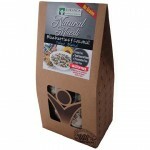 Hi, This system adds confusion to the shopper who doesn’t know about nutrition and that’s the everyday shopper. There are now so many “ratings” on boxes of processed foods i.e. 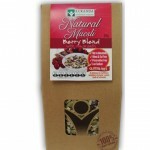 daily allowances, and other accreditations given by their own companies, plus nutritional and ingredients panels, the star rating adds to the confusion, and mis- information. As said this system is not for fresh food, therefore no rating, therefore in many minds a 5 star boxed faux food may be chosen over fresh. The Glycaemic index does the same mind jamming action. As meats, dairy, some vegetables and nuts and seeds may have no relativity on the glycaemic index they are left out and not rated as a “0”. And people eating to glycaemic index are not reminded or told that these healthy fresh foods are best. What food company is every going to rate it’s product with a 1/2 star: which ought to be on all these Kellogg’s ones in the article. This is not only a waste of time and money by our Federal Dept Health it is leading our population in the wrong direction yet again.